Grey Peugeot 208, manufactured in 2013, first registered on 1 July 2013. Cylinder capacity: 1200cc, CO2 emissions: 104 g/km. What road is this? Maybe the police can send a truck to take it away on account of the expired MOT. 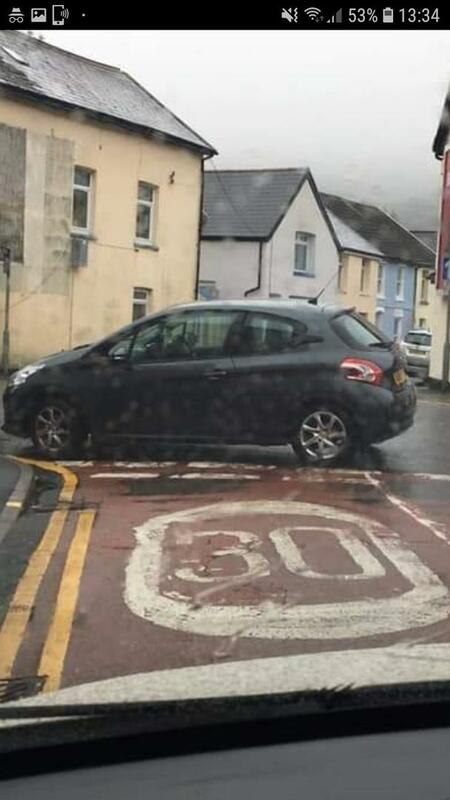 Can't believe they had the actual cheek to park it like that. So I guess we'll all just magically guess the name of the road. 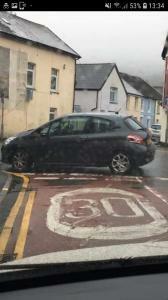 This idiot seems to think that because it's raining and they don't want to get wet, that parking across a junction is acceptable. Arrogance, selfishness and laziness rolled into one.